From Back on Track® USA comes Limber Up® LiniMint™ Leg & Body Brace Foam, an all-natural cooling liniment foam created to help improve suppleness and range of motion. The foam formula will not run or fall away and was specifically designed for effortless application to legs and other hard to reach areas. Utilizing the same great formula as the Limber Up® LiniMint™ Leg & Body Brace Spray, this foam soothes overall aches, joint stiffness, muscle, tendon and ligament soreness commonly associated with daily use and exercise. 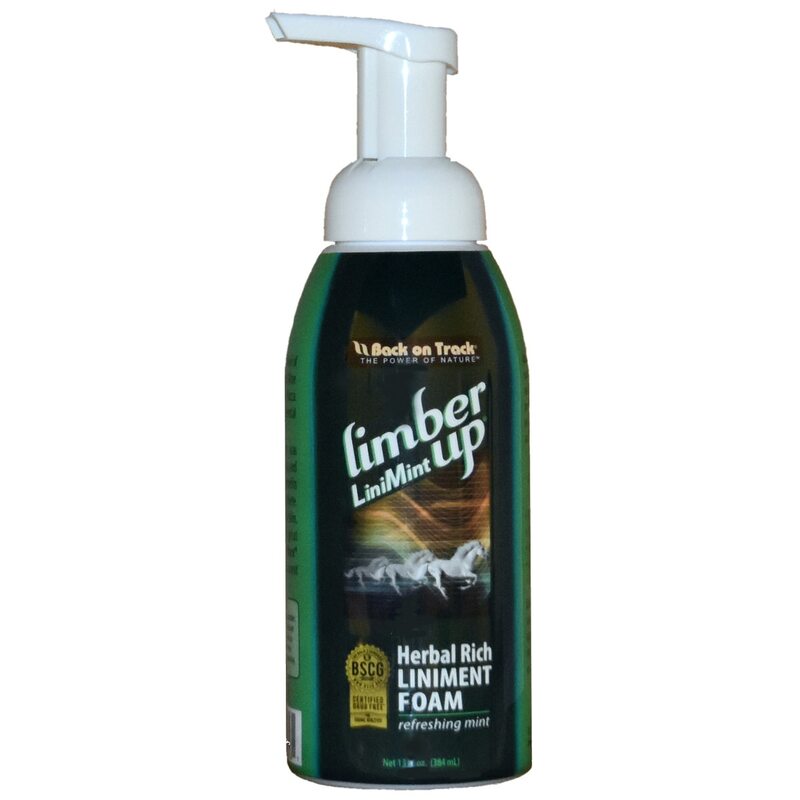 Limber Up® LiniMint™ Foam is convenient, long-lasting, and easy to apply. Simply place a drop in the palm of you hand and apply it anywhere. No waste, no mess, no hassle! Contains over 250 applications per 13 oz bottle. Apply as a warm-up prep before exercise. Apply as a cool down after exercise. Use under saddles, blankets and wraps. Use hot or cold as a massage rub. Has shown great results with Back on Track® Welltex® products & other types of therapy equipment and protocols. Available in a 13 oz. Bottle.